REVIEW - Curses 'N Chaos - Use a Potion! Are you a fan of single screen brawlers where you’re not only battling a constant stream of enemies but a time limit too? Are you a fan of retro style graphics? Are you a fan of difficulty levels that will have you pulling your hair out but feel oh so satisfied when you manage to persevere to success? If you answered ‘yes’ to those questions then Curses ‘N Chaos will be perfect for you; if not, you may want to give this one a miss. 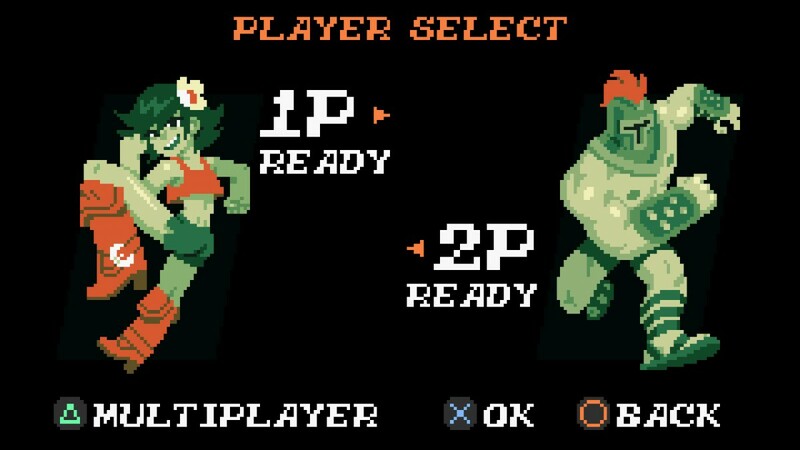 The concept of Curses ‘N Chaos is simple – you, solo or with a co-op partner, work through a series of levels taking down wave upon wave of enemies through the use of punches, kicks and weapons, culminating in a end of level battle against a tricky boss. Whilst the concept is simple, progress is the opposite; Curses ‘N Chaos is a tricky game. 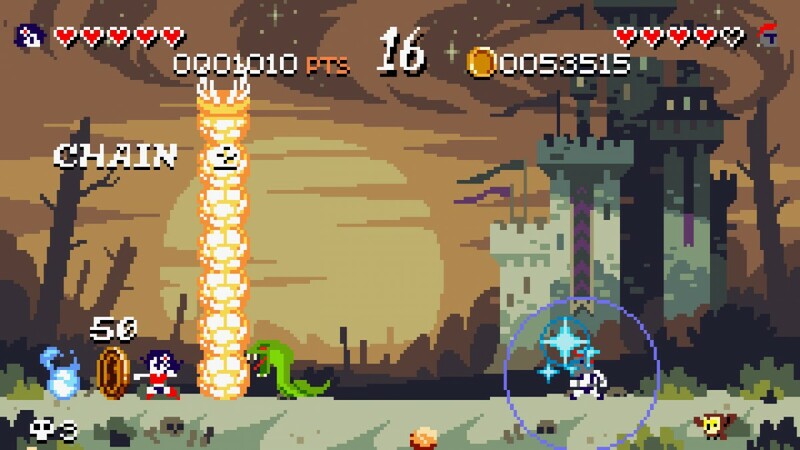 You’ll find screens quickly fill with enemies that are all out for your blood. There’s also the timer working against you, and once those sixty seconds are up the result is death. Not literally; Death himself will come and try hunting you down, each hit he lands resulting in a loss of one of your precious lives. You can try and avoid him but this being a single screen based game means your attempts are often in vain. Whilst the odds are severely against you, the arsenal you have at your disposal does at least give you a fighting chance. You have access to a variety of weapons including arrows or axes but also magic based weapons such as fireballs. You can only carry one weapon at a time so you need to be careful not to waste their single use. Thankfully you won’t find a shortage of weapons as enemies drop them upon death. The plentiful supply of weapons can be a burden though – if you run over a weapon it automatically replaces the weapon you have equipped. This can be a little annoying at times as you may swap weapons on accident; there were many occasions where I found myself in a fix due to the fact the weapon I wanted to be used had been forcefully swapped out. Whilst it’s not game-breaking, it could be really annoying when in a tight fix. Anything you don’t use can be taken out of the level upon completion and used in the game’s pretty rich alchemy system. This system allows you to create weapons for use in each level – some weapons you’ll learn the ingredients for whilst others require a bit of experimentation to discover. It’s an enjoyable implementation and surprisingly adds a lot to the game. The alchemy element of the game contributes to the narrative too – you’re tasked with conjuring up the ‘Elixer of Life’ in order to destroy a curse. It’s a simple premise, but at least you know what you’re fighting for. Enemies are plentiful in supply, with a huge mixture of foes ranging from simple goblins, witches and spiders lurking overhead. Each enemy is different; some may be ground-based whilst others fly above, trying to take you out with aerial based moves. Others may fire projectiles whilst the rest like to get up close and personal. You need to be careful and learn each enemy attack patterns if you’re going to have any chance of survival. Whilst enemies are simple in design, perhaps owing to the quasi-8/16-bit style, they’re still full of character. You wouldn’t expect anything less from the team at Tribute Games. 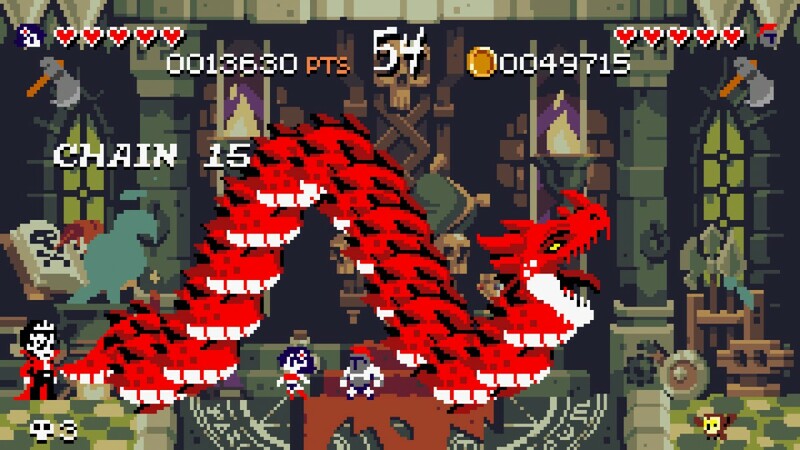 The environments are animated and packed full of details too; retro fans are in for a treat with Curses ‘N Chaos. There’s one feature of the game that really had me torn – the difficulty level. 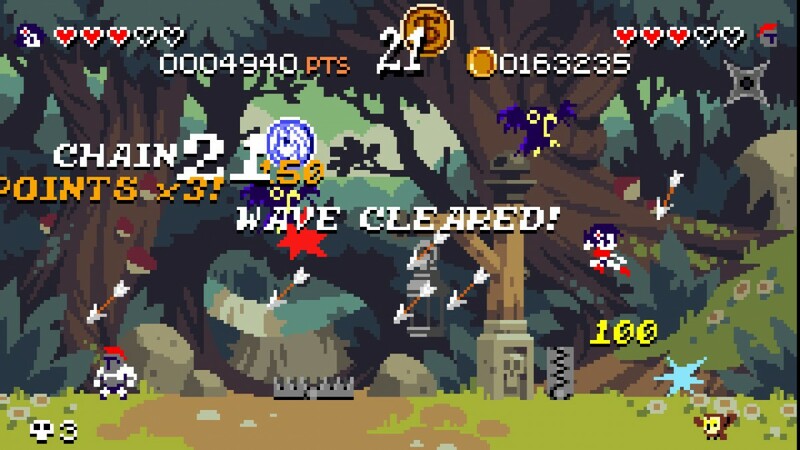 I like a challenge from a game and Curses ‘N Chaos certainly provides it. However, sometimes it became a little too much. Some levels would absolutely destroy me, and since death results in you having to start the level from scratch the game fell victim to a few rage quits. Whilst the game is easier if you’re playing with a co-op partner (available both locally and online) it still provides a stern challenge that will frustrate even the most hardened of gamers.